Lighting is such an important aspect of interior design. It needs to be able to do its job illuminating your space, but you also want it to look good while doing so. Fortunately there are a lot of lighting options available these days, so whether you like traditional style or contemporary it’s pretty easy to find something to suit your taste. Today we’re taking a look at one of our brands that specializes in modern lighting – Frandsen. Though sleek, stylish, and sophisticated today, Frandsen has humble beginnings. The company was started in the basement of Benny Frandsen’s private home in 1968. With only two local boys as staff Benny began by designing square lamps as well as the future iconic Ball lamp series. The original Ball lamp was a wall piece, but pendant, table and standard lamps were soon also launched. Frandsen’s lamps have been winning awards at design shows and exhibitions since 1987 for their innovation and style. Today the company designs lamps in beautiful materials, to ensure that their products signal quality and taste. 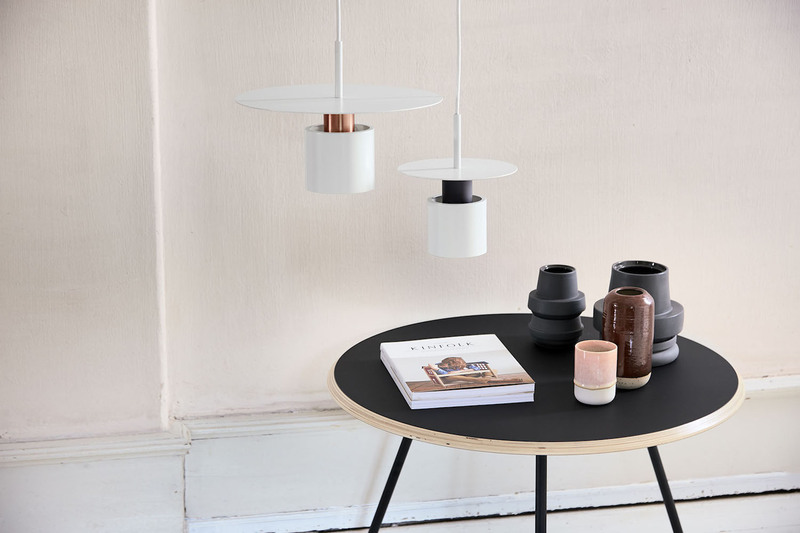 Putting together form and function in just the right way Frandsen has created lighting that is both timeless and contemporary. Sleek and stylish, a Frandsen lamp will help set the tone of a space while providing illumination to show off the room to its best. With pieces suitable for residential and commercial use, it’s hard to imagine a space that can’t be improved by the addition of a Frandsen lamp. Next Post Ask Astrid: Do I Have to Make Food for a Potluck?